There are few opportunities that allow law students to live, work full time, and take a full law school semester in the United States Capital, all the while remaining tied to their home law school. 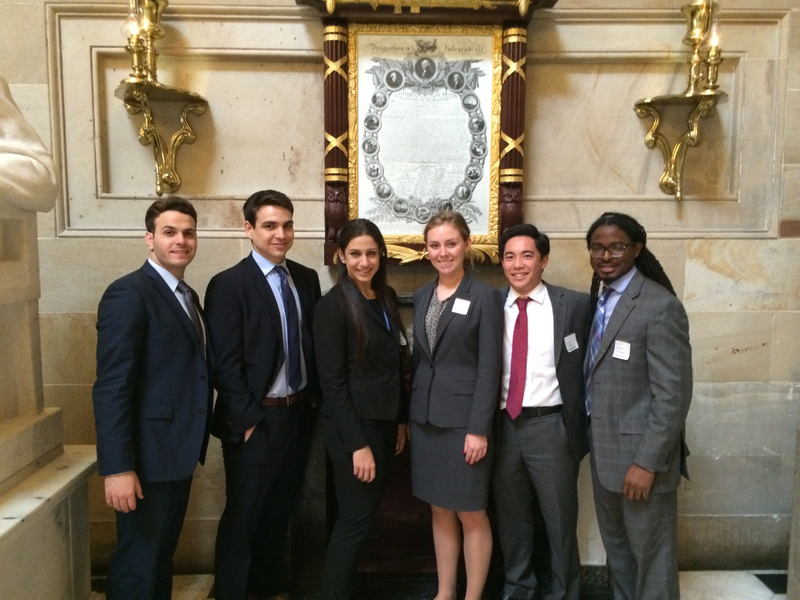 Last spring, seven Miami Law students were selected to participate in the first Washington D.C. Semester in Practice Program, taking classes with Miami Law Professor Charlton Copeland and receiving course credit for their placement with a federal agency. Each student was selected and placed at different governmental agencies, ranging from the Department of Justice to the United States Commission on International Religious Freedom. Miami Law students served in a number of positions, some of which were extended to the summer of 2014. Nancy Shalhub, a 2L at the time, worked for the United States Commission on International Religious Freedom (USCIRF) in the Office of Legal Counsel, handling and reviewing religious freedom violations and constitutional issues for a number of countries in relation to U.S. Foreign Policy. “Working for the USCIRF in spring 2014 was an incredible experience for a number of reasons, but mainly because it allowed me to combine my passion for international law, U.S. foreign policy, and national security and apply it to dealing with current and emerging constitutional issues in a number of countries,” said Shalhub. She was able to work on the USCIRF Annual Report, attend Commissioner Meetings, and work with her supervisors along with individuals in the U.S. State Department on memos eventually submitted to the White House. Shalhub was able to review facts and circumstances of countries’ religious freedom violations and partake in policy recommendations that were later submitted to the President, the Secretary of State, and Congress. In addition to the participants’ work and semester experiences, the Miami Law students were invited to visit the Capitol office of U.S. Representative Ileana Ros-Lehtinen as well as attend a White & Case event held by former Miami Law alum Carolyn Lamm in Washington, D.C.